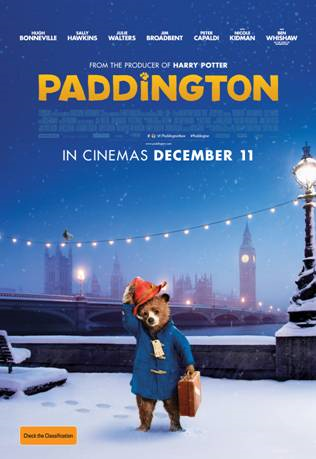 Paddington will be released in Australian cinemas on December 11 and is distributed by Studiocanal. Now showing in the United Kingdom and to be released in the United States on January 15. More than sixty years after he first appeared in childrens storybooks, Michael Bond's beloved Paddington Bear finally makes his first appearance on the big screen in Paddington. Paul King's take on the endearing character is a family film which ticks all the boxes of its genre, but has a screenplay and sense of humour that is certainly more appealing to younger audience members. Despite it's extreme predictability and simplistic comedy, the film is redeemed by it's ability to embrace the atmosphere of the London the characters dwell in and by the warmth of it's incredibly lovable leading bear. Forty years ago, British explorer Montgomery Clyde (Tim Downie) ventured into the Peruvian jungle and was the first to discover a new species of bear who have the gift of speech and an intense love of marmalade. The nephew of the pair of bears who Clyde bonded with travels to London after a horrible accident in search of a new home, but finds that the city he has been told so much about by his auntie and uncle is not the warm and welcoming place he believed it to be. While he is seeking the explorer Clyde and unknowingly being hunted by taxidermist, Millicent (Nicole Kidman), he is taken in by the Browns, a family who may need him just as much as he needs them. Paddington is a completely entertaining and charming family film. For those familiar with the "Paddington Bear" books and animated television show, the film attempts to bring Paddington to the realm of live action by embracing the nostalgic world tinged with magic that he has always belonged to. The London which Paddington lives in is considerably charming with it's polished streets and houses and emphasis on a society that values all things nostalgic. The production design is particularly exquisite as it's slight surrealism adds towards the magical atmosphere of the film. However, Paul King has also attempted to stay true to past Paddington Bear stories by ensuring that his screenplay and direction too have an old fashioned air about them. This is not in itself problematic, but the result is a story which will be of greater interest to younger family members. The film starts off strong with some hilarious moments in it's first ten minutes, but after awhile the dialogue seems rather unoriginal and humour is either too simple or too exaggerated. It is obvious that what King is trying to do is make a film which the whole family can enjoy which stays true to the world of Paddington Bear that Michael Bond created in the 1950's. He does do this to an extent, yet children will enjoy the film as a whole more than adults, as the story and characters will be of greater interest to the young. This is not surprising as Paddington Bear is a character aimed at children, but it is clear that King is also trying to make this film enjoyable for older audiences too. Adults will find the visual aspect of the film more intriguing than the actual story, but many will still find the story enjoyable in it's simplicity and charm. However, it is the furry protagonist who wins the audience over. Paddington Bear is completely lovable and exceptionally endearing. While he isn't overly visually adorable, he has a quality that makes one sympathetic towards him. The performances of the live action actors are ones that very much belong primarily in children's entertainment as they are exaggerated and one-dimensional. 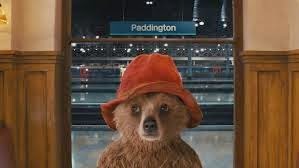 Paddington is Paddington Bear's first live action feature, yet the performances in the film are almost cartoonish, particularly those of Jim Broadbent, Sally Hawkins and Nicole Kidman. All the emotion comes from the Ben Whishaw voiced Paddington and although the film calls for some special family moments from the Browns, there are none to be found. Paddington serves it's purpose as a family holiday film perfectly well, but struggles to find a balance between being a live action film and staying true to the Paddington Bear that has been loved for generations. Light and sweet, but not without it's flaws.